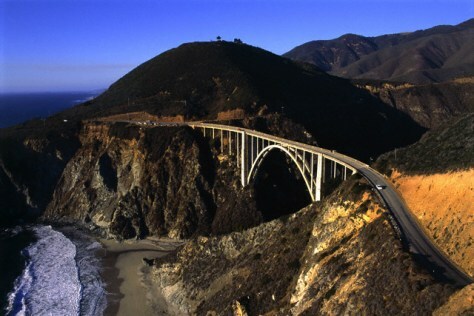 Bixby Bridge along Highway One in rugged Big Sur is not for the faint of heart. It’s not enormous, but the dimensions are impressive nonetheless: 714 feet long, 24 feet wide and, best of all, 280 feet high. The bridge opened in 1932 and was seismically retrofitted in 1996.